I’m sure I’ve bragged about it before, but I have a near-supernatural ability to recall the names of songs. When driving together, I frequently drive my wife nuts playing the “what song is this?” game. She hates it. She never knows the name of the song. Unlike me, she didn’t fill her head with useless musical trivia and is unable to name both the song title and artist (and sometimes even the album) to every random classic rock castaway. I bring this up because recently, I was wrong. And though I come across like a smug professor, I actually really enjoy the (albeit rare) occasions where I do not recognize a song or artist. I sometimes feel like Alexander The Great, sitting alone with no more worlds to conquer. When a new/old song hits my radar I feel the thrill of discovery I’ve mostly lost while listening to classic rock radio**. Which is why my world was recently turned upside down by Pandora recently with “Dancing in the Moonlight.” First of all, please don’t confuse this song with the fantastic Thin Lizzy song “Dancing In The Moonlight (It’s Caught Me In It’s Spotlight)” off their classic 1977 album BAD REPUTATION. No, I’m talking about the hit single from 1972 released by Van Morrison. At least, I always thought this was a Van Morrison song. But I was wrong. 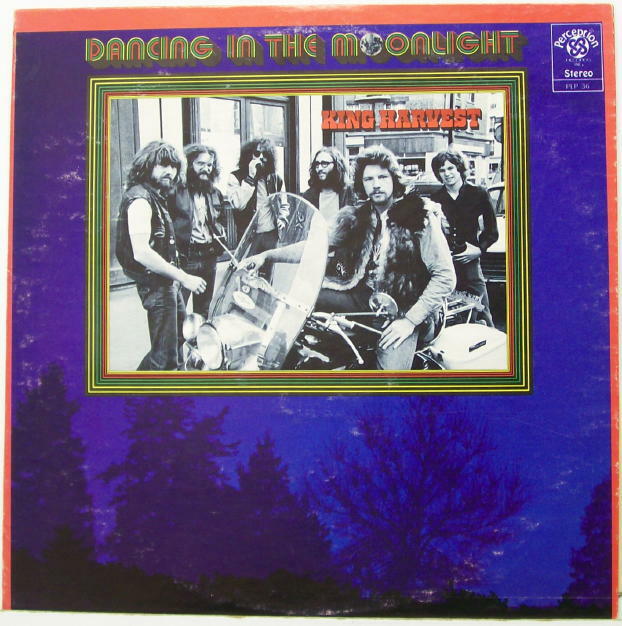 “Dancing In The Moonlight” does have a very ‘70s Van Morrison-ish vibe and would have fit nicely on Van Morrison’s classic album MOONDANCE (though it came out two years later). In fact, I attribute my own person confusion to “Moondance.” Sure, I guess it was weird to think that Van Morrison had two moon-themed songs during this time period, but I’ve always found the guy kinda strange. Anyway, I was wrong: “Dancing In The Moonlight” is actually a King Harvest song. What a silly mistake, right? So who the hell was King Harvest? Well the reason why I’d never really heard of them (and you probably haven’t either) is that they were one-hit wonders. That one-hit being “Dancing In The Moonlight.” According to a quick Internet search, the band was formed in Paris, France by a group of Americans. The brother of the their drummer, a guy named Sherman Kelly, wrote the song in 1969. I think that’s a pretty cool story: guy writes song, gives it to his brother’s band, they have their one-hit. Everybody wins. Except for me, the guy who 43 years later is walking around thinking it’s a damn Van Morrison song. Besides the obvious references to the moon, both songs share a similar jazzy feel. 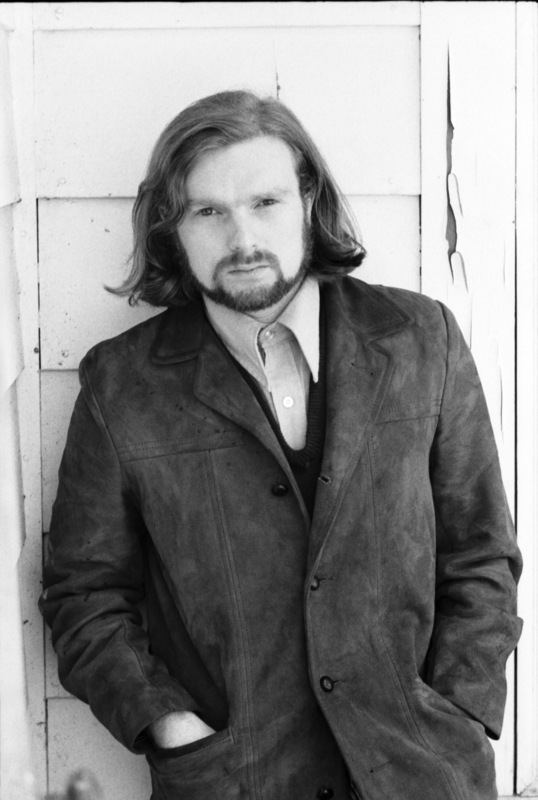 King Harvest’s lead singer, Dave Robinson, is a very fine vocalist and shares enough similarities to further compound the confusion. Though to be honest, a real Van Morrison fan would instantly spot the difference as I did when I listened to both songs back-to-back (800 times while writing this post). The production on the ’72 released “Dancing In The Moonlight” is scratchier and masks Robinson’s voice in a way that (at least to me) does make him sound like a younger Van Morrison. I’m assuming “Moondance” sounds better because a superstar recorded it with a superstar’s recording budget. Perhaps I could have avoided all this confusion had someone just spent a little more money. I’m looking at you, King Harvest. Listening to all three songs, I think that King Harvest’s song is more akin to Thin Lizzy’s “Dancing In The Moonlight” in that it’s a simple, joyous ode to hanging out late at night, dancing. Van Morrison’s song is more complex and has 100% more saxophone. Also, because it’s Van Morrison, the track is fun but in a really stuffy, intellectual way. 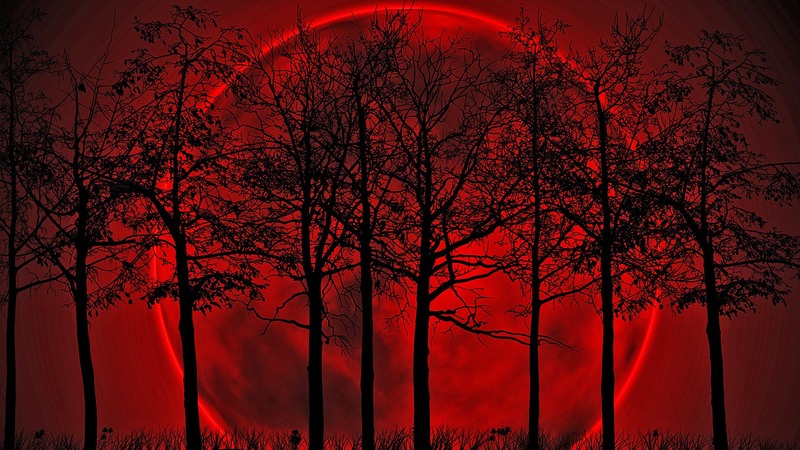 I’ve been meaning to write about this for a while now and tonight’s blood moon phenomenon got me thinking about this mix-up. I know I’m crazy, but am I crazy in regards to this mix-up? What songs have you wrongly attributed to other artists? I’m sure that this happens all the time to music fans. Please share you semi-embarrassing gaffs below in the comments (unless you’re gonna tell me about how you were confused by Steelers Wheel “Stuck In The Middle With You,” everybody thought that was Dylan). **Sure, I like listening to a lot of new music, but classic rock 1959-1985 will always be my specialty.